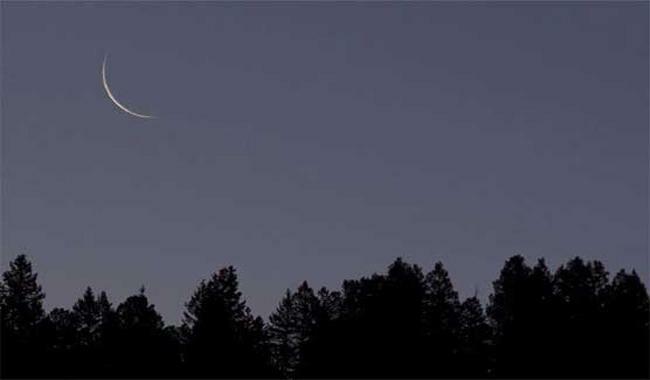 KARACHI: Eidul Fitr will be celebrated with traditional zeal and fervour across Pakistan on Saturday, June 16, Ruet-i-Hilal Committee Chairman Mufti Muneebur Rehman announced after the members failed to sight the Shawal moon on Thursday evening. Friday will therefore be the 30th and final day of Ramzan. Mufti Muneeb told journalists that evidences of moon-sighting were not received from anywhere in the country. The Central Ruet-i-Hilal Committee met in Karachi to see the Shawal moon, whereas zonal bodies of the committee also met in Islamabad, Quetta, Peshawar and Lahore. The Met Office had also announced that no testimonies were received, adding that moon was not sighted in various regions of Punjab, Sindh and Khyber Pakhtunkhwa. Meanwhile, Saudi Arabia, United Arab Emirates (UAE), Indonesia and some other countries declared they had spotted the Shawal moon therefore Eidul Fitr will be celebrated in these counties on Friday. “The crescent of Shawwal moon has been observed in Jebel Hafeet, Al Ain,” said the International Astronomy Centre, Khaleej Times reported. In India, the Shawal moon was not sighted and the committee announced that the countrywide Eid celebrations will commence on Saturday. Eidul Fitr celebrations mark the culmination of the holy month of Ramzan during which Muslims all over the world observe 30 days of fasting. In Pakistan, Eid festivities are marked by last-minute late night shopping with shopping malls and markets bursting at the seams with energetic crowds. The government has announced a four-day holiday for Eid this year, which will run from June 15 to June 18 (Friday, Saturday, Sunday and Monday).